Interruptions experienced by nurses may lead to errors as their focus and attention to multiple patient needs are disrupted. 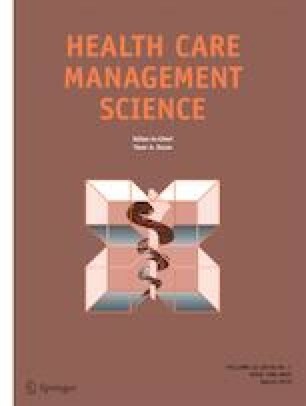 As quantitative models to understand the dynamics of interruptions are lacking, the objective of this study is a model of a nurse’s work with interruptions, generating insights into the onset of interruptions and evaluating suggested interventions. We observed nurses in a US Level I trauma center for 47.3 h, including 259 interruptions (9.1% of total time) across 580 nursing activities. A stochastic, non-stationary, model of a nurse’s work was developed considering source and activity-dependent interruptions, with parameters clustered across similar periods of day. Two interventions emulating ‘do not disturb’ strategies were evaluated, along with a more focused intervention from suggestions that nurses’ phone calls be ‘triaged’. Modeled outcomes included the increase in interruptions in other activities due to deferment and changes to the beneficial/detrimental interruption (B/D) ratio. Across-the-board sequestering of nurses by deferring interruptions during medication increased the B/D ratio 17% (1.35 vs. 1.58), but resulted in an unforeseen 73% (1.04/h vs. 1.80/h) increase in interruptions during direct care. In contrast, the focused intervention (deferring only those interruptions arriving via cell phone during medication and direct care), netted a 31% improvement in the B/D ratio (1.29 vs. 1.69) and with moderated (< 0.13/h) impact on interruptions during other activities. Modeling the dynamics of the onset of interruptions reveals the potentially negative impact of across-the-board interventions, and the advantage of focused interventions anticipating unmet needs before they present as interruptions. We wish to thank Dr. Mary C. McCarthy, Chair of the Boonshoft School of Medicine Department of Surgery, for her facilitation of access to the trauma center and for her anecdotal stories about interruptions instigating this study. We also wish to thank Beth Larsen and her Trauma Unit nursing staff for their effort and cooperation during the data collection phase of this study. Nurse activity data collection form. Simulation parameters: Activity i-j transition probabilities and sojourn times μi. Simulation parameters: Interruption rate/h for activities (Ai) by source. Simulation parameters: mean interruption service time μk, by source, activity, and medium.